As a Founder and Chief Executive Officer, Srini Bayireddy has set corporate vision for Navitas Business Consulting Inc which is focused on driving strategic business growth through the expansion of its core service offerings in the data analytics and information security. Mr. Bayireddy is a serial entrepreneur who co-founded, invested and held a variety of increasingly responsible positions in his previous ventures in the fields of IT consulting and data security services. Srini has over 20 years of Government and private sector experience and is recognized for his consistent leadership in building successful teams and delivering solutions. Under Mr. Bayireddy’s leadership, Navitas received numerous awards from several reputed organizations such as INC500, Deloitte Fast 50, Tech200, Diversity Business, USPAACC and Virginia Asian Chamber of Commerce for excellence indelivery and innovation. 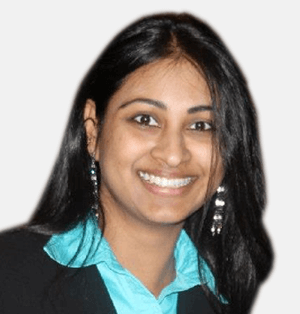 Sandy Bayireddy is the co-Founder and President of Navitas Business Consulting, Inc. In this role, she leads the firm’s operations, growth, innovation and market strategy. Under her leadership, Navitas is empowering its customers to gain efficiencies by leveraging commercial best practices and emerging technologies and deliver value as the world becomes digital. Sandy is an accomplished executive with over 18 years of experience in the software industry. In her previous role as Senior Vice President of Sofos Technologies, she served in various management positions for sales, consulting, and alliance development. Her expertise includes implementing and managing complex, enterprise-level business and technology initiatives for Fortune 500 companies. Bringing an 18-year track record of delivering strategic IT solutions to clients in both the public and private sectors, Paresh Dharia manages Navitas’s business operations. 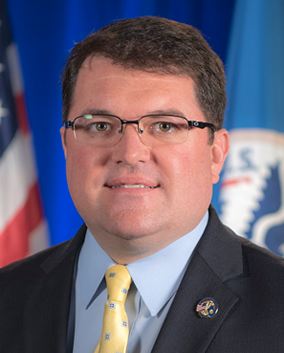 His experience with both the Civilian and Defense Federal Agencies provides deep insights into how to successfully deliver results in organization’s key government practice areas. As the company’s chief operating officer, Paresh is responsible for leading the company’s business operations globally, executing Navitas’s business strategy and ensuring operational excellence company-wide. In addition, Mr. Dharia leads enterprise risk management for Navitas, working across the company to identify, assess and actively manage enterprise risks. 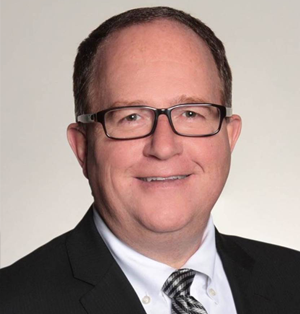 He applies his 20 years of operations and sales leadership in the federal services market space in order to work with all levels of Navitas staff and management for accelerated sales, revenue growth, and diversification. Paresh believes the customer’s return on investment – both immediate and long-term– is the key success criteria for any engagement. As a core member of the leadership team, he leads the technology strategy for Navitas and focuses on helping enterprise customers with high value business problems generate value through capabilities in Hybrid IT, digital engineering, Data & Analytics & Artificial Intelligence. 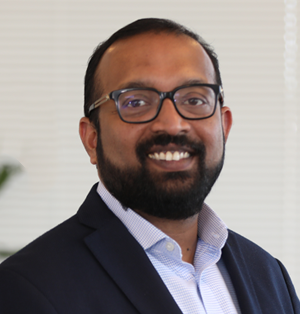 Seenu brings over 20 years of experience leading many company-wide strategic imperative projects to meet business dynamics and market challenges for customers in the financial services, healthcare and government. He has successfully built and managed highly talented and productive development teams delivering many multi-hundred million dollar business critical projects modernizing and automatic business processes and operations with increased productivity and reduced operational resource cost. He has experience in driving enterprise applications strategic planning, roadmaps, application technical architecture & design. Seenu holds a Master of Management Studies from BITS, Pilani. Shashi Goli, Vice President, Technology Solutions, leads Navitas's software project teams to deliver innovative solutions and successful execution. 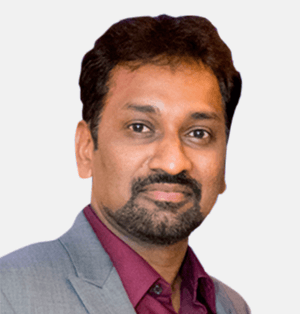 Shashi has more than 20 years of experience in the software industry with experience in Big 5 consulting, public sector, and financial industries. Shashi has helped Navitas win several new accounts by providing strategic technology and consulting expertise in Scaled Agile, DevSecOps, Cloud and Big Data analytics. His most recent project experience is at DHS in where he has architected and delivered several critical applications such as architecting and implementing the first ever DHS USCIS online benefit processing form for the ELIS (Electronic Immigration System) program, a large Agile, and DevSecOps program, enabling thousands of immigrants to go online instead of using the paper process—reducing processing time from several months to days. Shashi recently received National Intelligence Meritorious Unit Citation from the Director of National Intelligence for helping automate DHS USCIS Refugee Asylum Support Services program manual refugee vetting process. 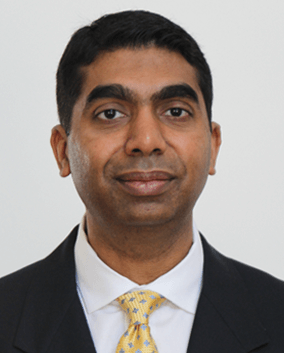 Shashi’s proven management, and leadership skills are critical to the growth of Navitas in the near future. He is a certified Scaled Agile Framework Agilist (SAFe® Agilist), Project Management Professional (PMP®), Oracle Certified Java Architect and Certified Scrum Master (CSM®). Shashi has Master's degree in Computer Science from Louisiana State University, Baton Rouge. He has a Bachelor's of Technology degree in Electrical Engineering from Nagarjuna University, India. 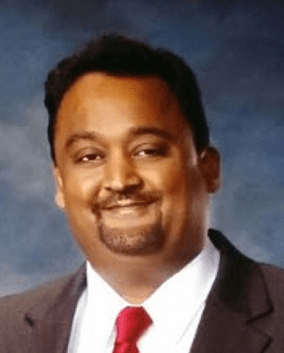 Harshid Shah is Vice President IT Service Delivery at Navitas Business Consulting Inc. In this role, he manages and leads the IT Services, Development, Delivery of innovative products. He works on strategic directions for the company as a member of the core leadership team. He is the key member for strategic planning, customer relationships, and product management. Prior to the joining Navitas, Harshid Shah held several Technology and Program Management positions with Freddie Mac, MCI WorldCom, UUNET Technologies, Mindware Pertech Inc. for over 20+ years, serving a wide variety of industries. He led and managed Enterprise Wide programs (Disaster Recovery & Business Continuity, Legacy Systems/Applications Remediation, Data Center Consolidation, Outsourcing, Managed Services, COTS implementation, Tools / Technology Upgrades), Business Development, Product Management, Project/Program Management, Solution, and Management Consulting to various Enterprises including many Fortune 500 companies. In the capacity of Director of Business Development for State & Local Government Solutions, Thomas Gardner is responsible in increasing the State and Local Government business pipeline through corporate partnerships and strategic hiring around the company’s core capabilities. Mr. Gardner is a retired CIO for the Maryland Motor Vehicle Administration and brings in a rich 25 plus years of Maryland State Service experience. 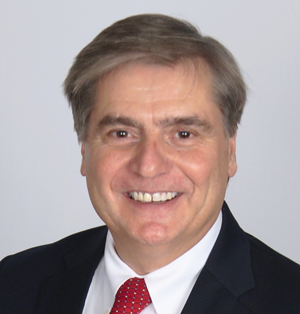 Mr. Gardner served as Program Manager for Xerox State & Local Government, Director of Government Service for The Canton Group, Past Chairman of the Anne Arundel County Spending and Affordability Committee and is Co-Founder and President of Collective Technology Consultants. Additionally, he served in the military for 23 years as an Army Aviator achieving the rank of Chief Warrant Officer 5 (Ret) and as Board of Directors at Tipton Airport Authority. He holds a bachelor’s degree in Applied Science and Technology – Thomas Edison State University, Anne Arundel Community College. Albert Davis is the Executive Vice President (EVP) of Quantum Vetting Inc. (QV) - a cyber technology services company and service-disabled veteran-owned small business (SDVOSB). As EVP, Mr. Davis leads QV’s commercial and government services portfolio. Mr. Davis joined QV from the Department of Homeland Security (DHS), U.S. Citizenship and Immigration Services (USCIS), Fraud Detection and National Security Directorate (FDNS). As the first Division Chief of the USCIS FDNS Program Management Office, Mr. Davis oversaw USCIS’ real-time immigration biometric and biographic screening, vetting, and information sharing operation responsible for detecting and deterring immigration fraud, public safety issues, and national security concerns. Mr. Davis delivered the nation’s first real-time immigration-based anti-fraud program that revolutionized how USCIS combats fraud, public safety threats, and national security concerns with automation and the expanded use of biometrics and biographic information. Mr. Davis administered an annual operating budget of $180 million, over 500 personnel, and more than $600 million in combined acquisitions. Mr. Davis came to USCIS from U.S. Customs and Border Protection (CBP). While at CBP he delivered many capabilities while holding positions as a Program Manager for the U.S. Southwest Secure Border Initiative, CBP Chief Architect, and Technical Manager of CBP’s Automated Targeting System. Mr. Davis served eight honorable years in the United States Marine Corps, has vast experience in the fields of Fraud Detection, National Security, Biometric/Biographic Screening, Acquisitions, and Information Technology, and is a DAWIA, DHS, FAC-P/PM Certified Level III Acquisition Professional Senior Program Manager. Mr. Davis holds a Bachelor of Science Degree in Information Technology/Software Engineering from the University of Phoenix; a Master's Certificate in Project Management from The George Washington University School of Business; and Diploma in Client-Server Programming from the Computer Learning Center. James Dalton is an Exceptional Sr IT Executive/Officer with 20+ years of experience as a Change Agent with a proven track record of driving/delivering secure, innovative, agile, transformational Business & IT initiatives in multinational, high growth, high pressure, complex Financial Services, Managed Services and Telecommunications industries. He has exceptional leadership skills with the ability to develop & communicate an IT vision that inspires and motivates the IT staff to be a collaborative high performing team providing World Class Customer Service & Technology Solutions to our Internal & External Business Partners, while instilling confidence in the business by demonstrating the Value Add of IT. James’ Specialties Include: Business Aligned IT & Customer Service - IT Sustainability & Cyber Security - IT Optimization & Cost Efficiency - IT Strategy & Roadmaps - Business Continuity & Disaster Recovery - Cloud Adoption & Migration - Containerization & No Touch Application Deployment - Service/Change Management - Program/Project Management - Digital Transformation - Workplace/End User Services - IT Automation - Big Data - International Business/Managed Services - Solutions Architecture, Engineering, Integration & Operations - Mergers, Acquisitions & DataCenter/Product Consolidation/Standardization - Agile Development & Testing Services - Diversity & Inclusion. 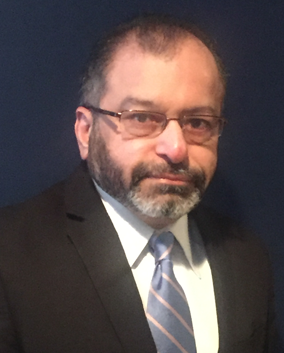 His Sr IT Leadership experience has included: VP of Application Services, VP of Engineering & VP of Operations @ Freddie Mac, Head of Worldwide Systems Infrastructure @ Orange Business Services and Head of Systems Integration & Engineering @ Equant. James also held roles at GlobalOne, AT&T and EDS. Jim earned his B.A. in Computer Science and Economics from Bethany College and his M.S. in Information Systems from The American University.